The heinous attack by the Taliban in Kabul last week, resulting in 64 deaths and wounding more than 340, has once again put the fractious and tenuous relationship between Afghanistan and Pakistan into the spotlight. President Ashraf Ghani’s speech after the attack, at the Afghan parliament on Monday, squared the blame on Pakistan for not doing enough to curb militancy. 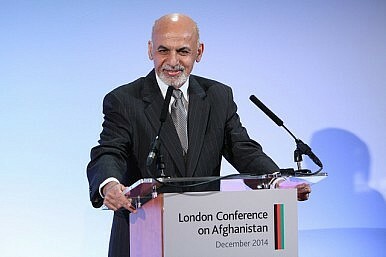 The speech highlighted historic trend in relations between the two countries, where the acts of spoilers such as the Taliban—which neither side has full control over—regularly results in a surge of vituperative rhetoric, which sours opportunities for cooperation and jeopardizes existing collaboration efforts. The death toll in Kabul, of course, is not ordinary and tolerable; yet, linking it with Pakistan’s inability to crackdown on the Haqqani network and the Taliban can have severe implications for bilateral ties. Pakistani political parties have already termed Ghani’s statement as “unfortunate” and the Pakistani Foreign Office reacted by highlighting the country’s resolve in ensuring peace within Afghanistan. On the other hand Afghanistan has echoed the United States as far as Pakistan’s duplicity and support for the Haqqani network is concerned. Afghanistan believes that militants run amok on Pakistani territory and carry out attacks on Afghan soil. These statements underline how Pakistan and Afghanistan are once again miles apart after another terror attack and that the relationship will likely continue to experience ebbs and flows. Joint military exercises will continue will Afghanistan will continue to remain suspicious of Islamabad’s interests. Afghanistan’s complaints about Pakistani don’t quite hold muster given the innumerable sacrifices that the Pakistani armed forces have made under the leadership of Chief of Army Staff General Raheel Sharif in the domestic war on terrorism. For a state that has witnessed horrific attacks in recent years, including the Army Public School attack in Peshawar in 2014 and the recent Lahore blasts, squaring the blame on Pakistan denies possible avenues for joint terrorism cooperation and mechanisms for intelligence sharing, which could promote stability and peace between both countries. Pointing fingers will also not help efforts against the growing and palpable threat of the Islamic State, which is fast emerging within the geographical boundaries of Afghanistan and continuing to gain support in some quarters of Pakistan. What events such as the tragedies in Kabul and Lahore underline, however, is the common threat that both countries face from terrorists. Afghanistan and Pakistan have borne the brunt of policies and geopolitical realities that have allowed violent groups subscribing to puritanical versions of religion to fester and challenge the writ of successive governments, regularly employing wanton violence against the softest of targets. Those policies continue to leave a footprint on either side of their shared border and. while it would be fitting for political leaders to blame one another for domestic politics and for nationalist reasons, the thriving trust deficit between the two states allows the same rogue elements to thrive. Sadly, the attacks in Kabul and the ensuing rhetoric have once again put both countries back to square one and proven that blame games once again trump collective action against a collective threat. Hamzah Rifaat is a 2016 Visiting Fellow at the Stimson Center and has worked as a Freelancer for the Friday Times, a newsweekly based in Lahore, since November 2012.